4 862 743601 SUSHEEL KUMAR BHARTI SARDARI LAL BHARTI VPO DIANI TEHSIL SAMBA BUDGAM 210183 SC 327 600 54.50 860 1650 52.12 638 1000 63.80 770 1200 64.17 0 0 0.00 0 0 0.00 No No 13.63 5.21 9.57 6.42 0.00 0.00 0.00 0.00 34.82 12.00 46.82 Recommendation withheld subject to production of bonafide certificate of PG from HNB University on the letter head of University as per prescribed format of Services Selection Board alongwith migration certificate issued under proper stamp and signature from Jammu or Kashmir University. 5 26 815446 GHARO DEVI SHIV SHARAN VILLAGE DABUJ KAKA PO JAKH BUDGAM 030379 SC 301 600 50.17 823 1650 49.88 600 1000 60.00 842 1600 52.63 0 0 0.00 0 0 0.00 No No 12.54 4.99 9.00 5.26 0.00 0.00 0.00 0.00 31.79 15.00 46.79 Jammu Univ. 6 77 335604 POOJA DEVI LATE SH JEWAN LAL VILLAGE POOCHAL TEHSIL KISHTWAR BUDGAM 200984 SC 314 600 52.33 965 1650 58.48 558 1000 55.80 867 1600 54.19 0 0 0.00 0 0 0.00 No No 13.08 5.85 8.37 5.42 0.00 0.00 0.00 0.00 32.72 14.00 46.72 Jammu Univ. 7 626 833682 RASHMI DHRORA SHAKTI SWARUP HOUSE NO 152 LANE NO 3 EKTA VIHAR COLONY PO GANGYAL BUDGAM 240286 SC 352 600 58.67 876 1650 53.09 604 1000 60.40 873 1600 54.56 0 0 0.00 0 0 0.00 No No 14.67 5.31 9.06 5.46 0.00 0.00 0.00 0.00 34.49 12.00 46.49 Jammu Univ. 8 153 633925 BODH RAJ BABU RAM RO GALAK CHOWN PO GALAK TEH BILLAWAR BUDGAM 170177 SC 282 600 47.00 758 1650 45.94 563 1000 56.30 727 1600 45.44 570 1100 51.82 0 0 0.00 No No 11.75 4.59 8.45 4.54 5.18 2.59 0.00 0.00 37.11 9.33 46.44 Jammu Univ. 9 46 647721 KISHOR KUMAR SH KRISHAN LAL NANDPUR MIRAN SAHIB BUDGAM 150572 SC 625 1000 62.50 1114 1950 57.13 0 0 0.00 7.07 10 70.70 0 0 0.00 0 0 0.00 No No 15.63 5.71 0.00 7.07 0.00 0.00 0.00 0.00 28.41 18.00 46.41 Recommendation withheld subject to production of bonafide certificate of Grad from CCS Univ. Meerut and PG from Banaras Hindu Univ. 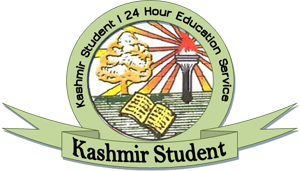 on the letter head of respective Universities as per prescribed format of Services Selection Board alongwith migration certificate issued under proper stamp and signature from Jammu or Kashmir University. 10 96 807438 REENA DEVI GIRDHARI LAL HNO 211 KABIR COLONY POONCH HOUSE LANE NO 10 WARD NO 40 BUDGAM 011179 SC 286 600 47.67 846 1650 51.27 544 1000 54.40 650 1000 65.00 0 0 0.00 0 0 0.00 No No 11.92 5.13 8.16 6.50 0.00 0.00 0.00 0.00 31.70 14.67 46.37 Recommendation withheld subject to production of bonafide certificate of PG from Pondichery University on the letter head of University as per prescribed format of Services Selection Board alongwith migration certificate issued under proper stamp and signature from Jammu or Kashmir University. 11 36 618944 JAGDISH RAJ MAGHAR RAM VILL KALI PURANI MOHRA SADYALI POST OFFICE NAI KALI BUDGAM 100279 SC 313 600 52.17 935 1650 56.67 589 1000 58.90 647 1200 53.92 0 0 0.00 0 0 0.00 No No 13.04 5.67 8.84 5.39 0.00 0.00 0.00 0.00 32.94 13.33 46.27 Recommendation withheld subject to production of bonafide certificate of PG from Madurai Kamraj University on the letter head of University as per prescribed format of Services Selection Board alongwith migration certificate issued under proper stamp and signature from Jammu or Kashmir University. 12 38 620204 JEET KUMAR SEWA RAM VILLAGE NANAN PO GHATI TEH & DIST KATHUA BUDGAM 100478 SC 286 600 47.67 941 1650 57.03 591 1000 59.10 693 1200 57.75 0 0 0.00 0 0 0.00 No No 11.92 5.70 8.87 5.78 0.00 0.00 0.00 0.00 32.26 14.00 46.26 Recommendation withheld subject to production of bonafide certificate of PG from Kumaun University Nanital on the letter head of University as per prescribed format of Services Selection Board alongwith migration certificate issued under proper stamp and signature from Jammu or Kashmir University. 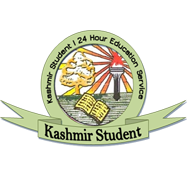 13 136 835410 VICTOR LT BARKAT MASIH HNO 134 B CHRISTIAN COLONY HARI SINGH SCHOOL BUDGAM 100771 SC 239 600 39.83 845 1650 51.21 651 1000 65.10 851 1600 53.19 0 0 0.00 0 0 0.00 No No 9.96 5.12 9.77 5.32 0.00 0.00 0.00 0.00 30.16 16.00 46.16 Jammu Univ. 14 3 641063 ANIL KUMAR PREM NATH JANDRORE RAMNAGAR BUDGAM 160382 SC 230 600 38.33 819 1650 49.64 601 1000 60.10 0 0 0.00 1617 2450 66.00 0 0 0.00 No No 9.58 4.96 9.02 0.00 6.60 3.30 0.00 0.00 33.46 12.67 46.13 Jammu Univ. 16 14 848461 ASHU DEVI PAWAN KUMAR VILL HARSA DABBER PO DEOLI TEH BISHNAH BUDGAM 160578 SC 288 600 48.00 794 1650 48.12 634 1100 57.64 0 0 0.00 597 1100 54.27 0 0 0.00 No No 12.00 4.81 8.65 0.00 5.43 2.71 0.00 0.00 33.60 12.00 45.60 Jammu Univ. 17 154 815445 BODH RAJ ANANT RAM VILLAGE POWAL PO ARNIA TH BISHNAH BUDGAM 100375 SC 339 600 56.50 955 1650 57.88 633 1100 57.55 0 0 0.00 513 1000 51.30 0 0 0.00 No No 14.13 5.79 8.63 0.00 5.13 2.57 0.00 0.00 36.24 9.33 45.57 Jammu Univ. 18 39 641356 JYOTI DEVI SH LOCHAN DASS CO BASANT RAJ SHIVA ENCLAVE LANE NO-03 BUDGAM 060878 SC 341 600 56.83 817 1650 49.52 556 1000 55.60 688 1600 43.00 0 0 0.00 0 0 0.00 No No 14.21 4.95 8.34 4.30 0.00 0.00 0.00 0.00 31.80 13.67 45.47 Jammu Univ. 19 51 600994 MAKHAN LAL SH SHIV RAM VILL SADYALI POST OFFICE NAZKALI BUDGAM 100778 SC 310 600 51.67 834 1650 50.55 667 1100 60.64 707 1650 42.85 0 0 0.00 0 0 0.00 No No 12.92 5.05 9.10 4.28 0.00 0.00 0.00 0.00 31.35 14.00 45.35 Jammu Univ. 20 857 634923 SUNIL KUMAR PARAS RAM VPO DURANG TEH BILLAWAR BUDGAM 010284 SC 320 600 53.33 1020 1650 61.82 548 1000 54.80 584 900 64.89 0 0 0.00 0 0 0.00 No No 13.33 6.18 8.22 6.49 0.00 0.00 0.00 0.00 34.22 11.00 45.22 Recommendation withheld subject to production of bonafide certificate of PG from HNB University on the letter head of University as per prescribed format of Services Selection Board alongwith migration certificate issued under proper stamp and signature from Jammu or Kashmir University. 21 133 711803 TARUN KUMAR SH SHAM LAL VILLAGE POST OFFICE KOTE TEHSIL AND DISTRICT JAMMU BUDGAM 150384 SC 415 600 69.17 999 1650 60.55 0 0 0.00 2175 3550 61.27 0 0 0.00 0 0 0.00 No No 17.29 6.05 0.00 6.13 0.00 0.00 0.00 0.00 29.47 15.67 45.14 Jammu Univ. 22 65 738914 NEERU BALA CHURU RAM VILL SIMBLAWALI P O VIJAYPUR BUDGAM 140385 SC 348 600 58.00 921 1650 55.82 534 1000 53.40 822 1600 51.38 0 0 0.00 0 0 0.00 No No 14.50 5.58 8.01 5.14 0.00 0.00 0.00 0.00 33.23 11.67 44.90 Jammu Univ. 23 635 617638 REKHA RANI GARA RAM VILL DABUJ KAKA PO JAKH TEH SAMBA BUDGAM 120383 SC 354 600 59.00 884 1650 53.58 610 1000 61.00 844 1600 52.75 0 0 0.00 0 0 0.00 No No 14.75 5.36 9.15 5.28 0.00 0.00 0.00 0.00 34.53 10.33 44.87 Jammu Univ. 25 82 803666 RAJ KUMAR JAGGEEVAN RAM VILAGE NIHALPUR POST OFFICE PALLIMORE BUDGAM 240980 SC 291 600 48.50 1006 1650 60.97 595 1000 59.50 1474 2400 61.42 0 0 0.00 0 0 0.00 No No 12.13 6.10 8.93 6.14 0.00 0.00 0.00 0.00 33.29 11.33 44.62 Jammu Univ. 26 818 825443 SHEETAL RANI LT OM PARKASH QNO 219 SARWAL COLONY JAMMU BUDGAM 300882 SC 281 600 46.83 889 1650 53.88 707 1100 64.27 1232 2100 58.67 0 0 0.00 0 0 0.00 Yes No 11.71 5.39 9.64 5.87 0.00 0.00 2.00 0.00 34.60 10.00 44.60 Jammu Univ. 28 19 820264 BHARAT BHUSHAN RAM JI DASS MODEL TOWN DIGIANA JAMMU BUDGAM 090682 SC 270 600 45.00 791 1650 47.94 598 1000 59.80 881 1600 55.06 0 0 0.00 0 0 0.00 No No 11.25 4.79 8.97 5.51 0.00 0.00 0.00 0.00 30.52 14.00 44.52 Jammu Univ. 1 851 949287 SUMAN KUMAR BANARSI DASS PASGAL BISHNAH BUDGAM 250381 SC 364 600 60.67 822 1650 49.82 538 1000 53.80 874 1650 52.97 0 0 0.00 0 0 0.00 No No 15.17 4.98 8.07 5.30 0.00 0.00 0.00 0.00 33.52 11.00 44.52 Jammu Univ. 2 93 844937 RAVI KUMAR KRISHAN CHAND RAMGARH MAHAL KALANDRIAN BUDGAM 020376 SC 248 600 41.33 797 1650 48.30 574 1000 57.40 798 1600 49.88 0 0 0.00 0 0 0.00 No No 10.33 4.83 8.61 4.99 0.00 0.00 0.00 0.00 28.76 15.67 44.43 Jammu Univ. 3 12 932193 ARTI KARLOPIA BABU RAM H NO 43 KRISHNA NAGAR BUDGAM 131178 SC 265 600 44.17 838 1650 50.79 664 1100 60.36 860 1600 53.75 0 0 0.00 0 0 0.00 No No 11.04 5.08 9.05 5.38 0.00 0.00 0.00 0.00 30.55 13.67 44.22 Jammu Univ. 4 21 621776 BRINDA ATRI DAYA RAM HOUSE NO 73P SECT 5 ROOP NAGAR HOUSING COLONY BUDGAM 051178 SC 251 500 50.20 874 1650 52.97 559 1000 55.90 744 1600 46.50 0 0 0.00 0 0 0.00 No No 12.55 5.30 8.39 4.65 0.00 0.00 0.00 0.00 30.88 13.00 43.88 Jammu Univ. 6 41 910308 JYOTI DEVI SH DHARAM PAUL VPO KIR PIND TEHSIL RS PURA BUDGAM 020181 SC 280 600 46.67 843 1650 51.09 654 1100 59.45 0 0 0.00 561 1100 51.00 0 0 0.00 No No 11.67 5.11 8.92 0.00 5.10 2.55 0.00 0.00 33.34 10.33 43.68 Jammu Univ. 7 4 907318 ANITA DEVI SH BIHARI LAL RO JALLO CHAK PO GANGYAL BUDGAM 150679 SC 247 600 41.17 786 1650 47.64 666 1100 60.55 812 1600 50.75 0 0 0.00 0 0 0.00 No No 10.29 4.76 9.08 5.08 0.00 0.00 0.00 0.00 29.21 14.33 43.55 Jammu Univ. 24 94 770612 REYAZ AHMAD BATANA NAZAM UDDIN BATANA NAGABAL YOUSMARG BUDGAM 111187 ST 0279 0500 55.80 0 0 0.00 0 0 0.00 0 0 0.00 0 0 0.00 0 0 0.00 No No 13.95 0.00 0.00 0.00 0.00 0.00 0.00 0.00 13.95 13.00 26.95 Recommendation withheld subject to production of bonafide certificate of 10+2 from National Institute of Open Schooling on the letter head of School as per prescribed format of Services Selection Board alongwith migration certificate & equivallance certificate of 10+2 issued under proper stamp and signature from JKBOSE. 26 9 969594 AIJAZ AHMAD DINDA AB KARIM DINDA RAYAR ICH KHANSAHIB BUDGAM 300987 ST 318 600 53.00 375 700 53.57 0 0 0.00 0 0 0.00 0 0 0.00 0 0 0.00 No No 13.25 5.36 0.00 0.00 0.00 0.00 0.00 0.00 18.61 8.00 26.61 Recommendation withheld subject to production of original marks sheet of graduation alongwith equivallance and acceptance certificate of Graduation from Kashmir University. 1 The list is provisional and subject to alteration / modification, as such no right accrues to any candidate to claim selection as a matter of right on the basis of inclusion of his / her name in the list. The list shall be finalized after receipt and disposal of representations / claims / by the interested candidates and on finalization, it shall be recommended to the indenting department. 3 The list is issued subject to the outcome of writ petition / cases, if any pending on the subject before any court of competent jurisdiction. 4 The candidate whose selection is shown subject to the conditions mentioned in the remarks column are hereby informed to produce bonafide alongwith migration certificates issued by the Universities / Boards of J&K at the time of taking admission in the outside State Institutes / Universities within a period of 15 days from the date of publication of this list in the print media and after the expiry of the date he / she shall have no claim whatsoever for the final selection. 5 The proforma of bonafide certificate is available on the official web-site of the Board.